Golf in Cornwall was shocked and saddened to hear this week of the untimely death of Peter Heyman, the much loved and respected reporter of all matters golf in the county for many years. Peter, aged 76, died on the 9th November whilst on holiday with family in Argentina. He was taken unwell and died a short time later. 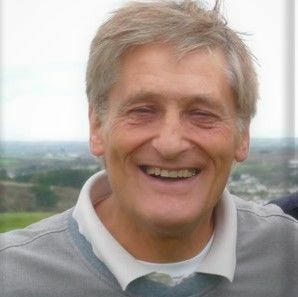 Tributes have been paid to the former West Cornwall Golf Club member from a number of different sources and they reflect the respect, admiration and affection people had for him. Former Golf Manager at Bowood Park GC, Josh Greenaway said "This is incredibly sad news. Peter was an absolute powerhouse in sport journalism and a true gentleman to boot. Thoughts are with his family. May you rest in peace, Mr Heyman. The father of Cornish Golfing star Harry, Phil Hall tweeted "A true ambassador for local and county golf and a friend for 15 years. Such passionate reporting. Condolences to family, friends and colleagues". Another Twitter user said "Nearly all golf related newspaper cuttings in our house have Peter’s name in the byline - and there’s quite a few! Had the pleasure to meet him during various county weeks - a true gentleman". Former Ladies County Champion and now Professional Sammie Giles expressed her sadness at the news - "I am so sad to read this, he was such a big supporter of golf in the county & would always call to find out how I & my sister were getting on. He will be extremely missed. RIP Peter." Former press colleagues also paid tributes with Gareth Rowett (St Austell Voice) describing the real loss to South West Golf. Former West Briton stalwart Rhod Mitchell said of Peter "He was a top man and a great supporter of Cornish golf over many years" whilst The Cornish Times Kevin Marriott said "Peter was one of the old guard, a proper journalist and a nice man with it. He worked for me at the Cornish Guardian, West Briton and Cornishman. Always gracious. For my part dealing with Peter was a pleasure. Every Monday we would catch up and exchange details of the Duchy golfing news for publication in the week's press. Whilst I only met Peter on isolated occasions and despite the fact he worked from his home in Kent he loyally reported on golf in Cornwall and was in contact with many of the clubs on this regular basis. He was well aware of the modern media and the difficulties faced by many local newspapers but nevertheless he diligently represented golf in Cornwall to the best of his ability with meticulous and thorough detail. I always had to spell out players surnames to him as did not want these published incorrectly! Golf In Cornwall will miss him and his expert reporting. I will miss the contact with him. The Cornwall Golf Union expresses it's condolences to his surviving partner Jean and to Peter's family. A Thanksgiving Service for Peter's life will take place at St John’s the Evangelist, Blackheath, Stratheden Road, London SE3 7TH at 2.00pm on Monday 3rd December.